Perhaps nothing is more common than auto insurance in the United States. Motorists in all 50 states are required to carry coverage at specified state limits. These days, dozens of companies provide auto insurance in a given location. They’re all separated by their coverage options, claims service, exclusions, and other factors. Consumers can choose between location, regional, and even national carriers. Unfortunately, it’s a difficult task to compare auto insurance providers and choose the best option on the market. Trade 15 Minutes For Savings Of 15% Or More: Is It True? How Does Geico Perform In Claims Satisfaction? Is accident forgiveness available through Geico? Does Geico base its rates on my credit score? Where is Geico auto insurance available right now? Why is Geico so cheap? What is Geico's phone number? How long has Geico been in business? Is Geico owned by the government? Does Geico have homeowners insurance? Does Geico have renters insurance? Does Geico have life insurance? Does Geico have health insurance? Does Geico offer boat insurance? How good is Geico home insurance? Does Geico cover rental cars? How much does insurance go up after an accident with Geico? How much is Geico car insurance? What does Geico comprehensive cover? Will Geico insure a car not in my name? Does Geico cover windshield replacement? 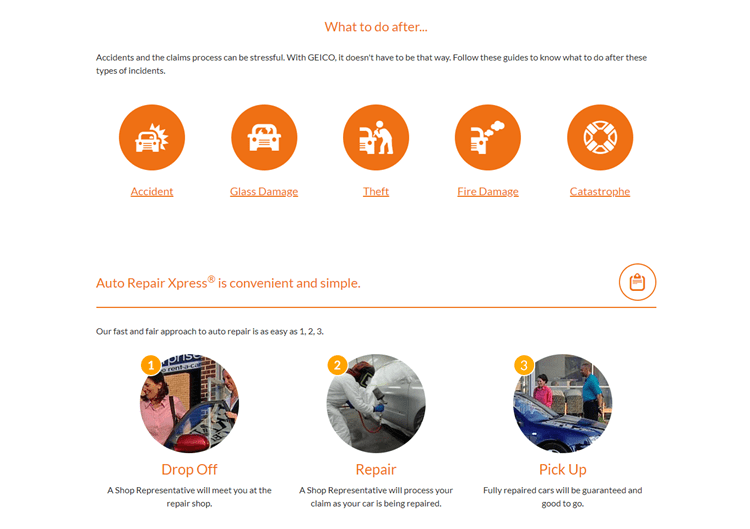 What does Geico roadside assistance cover? Does a speeding ticket affect your insurance with Geico? How to lower car insurance with Geico? Is Geico roadside assistance free? Will Geico insure suspended license? How long does an accident stay on your insurance with Geico? Does speeding ticket increase insurance with Geico? How much does Geico insurance go up after an accident? How much does Geico car insurance cost a month? How often does Geico check driving records? What time does Geico process payments? How long can you postpone Geico payment? Can I pay my Geico bill at Walmart? How to change Geico payment date? Does Geico accept Discover card? How does Geico pay claims? How long does it take Geico to send settlement check? Will Geico write me a check? Does Geico cover other drivers? Does Geico full coverage cover theft? How does Geico determine if a car is totaled? Does Geico cover hurricane damage? How long does it take Geico to process a claim? Does Geico cover rodent damage? Does Geico cover slashed tires? What does Geico boat insurance cover? Currently, Geico is the second largest auto insurer in the nation. The company insures over 15 million motorists and many more vehicles. Consumers benefit from a wide range of discounts and extensive coverage options. Insureds tend to rate the company highly for claims satisfaction, and Geico enjoys excellent financial solvency. Plus, Geico prioritizes technology and innovation through its widely praised mobile app. Users can view their policy information, make changes, and even file a claim within minutes. Then again, no auto insurance carrier is perfect. Geico lacks certain coverages found with other insurers. 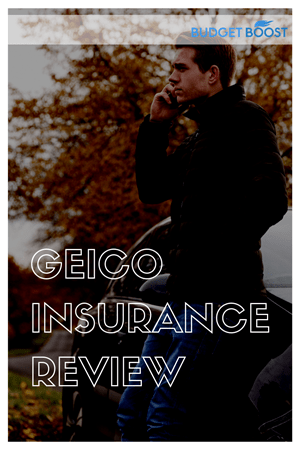 Gap coverage and replacement cost coverage remain absent from Geico’s offerings while other carriers tend to provide them without question. Various third-party companies sell standalone gap insurance policies, though. Regardless, Geico provides more than adequate auto insurance policies that match most consumers’ needs at the right price. Other carriers can’t compete with Geico’s rates or the sheer number of available discounts. Everyone knows Geico’s claim of saving 15% or more on auto insurance in less than 15 minutes. However, not all consumers know whether this claim holds any weight or not. Geico makes a bold, ambitious claim that sometimes seems too good to be true. The good news is Geico offers competitive auto rates with over a dozen separate discounts. Consumers need to qualify for each discount, and none of them are guaranteed without meeting requirements. In that vein, individual circumstances impact a consumer’s auto rates considerably here. For instance, Geico gives students with a B average 15% off their auto insurance. Drivers over the age of 50 can complete a defensive driving course and save 10% instead. Even members of the military receive a discount for serving the country. In fact, Geico remains the only insurance carrier to provide a military-specific discount. Then consumers can take advantage of the multiple policy or good driver discounts in most states. Certain professions or certifications may qualify someone for additional savings as well. Even the automobile someone owns and operates can impact rates. For example, automobiles with certain safety features receive lower rates. Driver-side airbags come with a discount of up to 25%, and front-seat airbags include an even bigger discount. Anti-lock brake and anti-theft systems provide further savings, too. Newer automobiles tend to include these features, and a new car provide Geico members with the largest discounts possible. Luckily, anyone can save money here regardless of the age of their car, truck, or SUV. Consumers won’t qualify for every single discount offered by Geico. Nonetheless, enough chances to save are available that most people will indeed save money. The average driver qualifies for at least a handful of discounts, which can result in savings of at least 25%. Geico’s slogan mentions 15% in savings, yet the average driver may qualify for more than that. As previously mentioned, individual circumstances affect an individual’s rates with Geico, so a quote is necessary to provide a consumer with an accurate rate. Geico’s positives tend to speak for themselves. Still, it doesn’t hurt to go over what makes the company such an excellent auto insurance carrier. The carrier started its operations in 1936 and remains the second largest US auto insurer. Geico is financially sound and provides more discounts than its closest competitors. On top of that, this particular carrier features an AM Best Financial Rating of A++. Other rating provider tend to classify Geico toward the top of their rating tiers, which is always good news. Supplemental coverages are offered by Geico as well. Such coverages keep insureds protected after an accident. Additional coverages include medical payments, rental reimbursement, and a variety of others. Without a doubt, consumers need to keep in mind the lack of gap coverage, although that’s not necessarily a deal breaker. Residents of certain states can take advantage of accident forgiveness. Special coverages for rideshare drivers in 40 states makes Geico an even more enticing option for automobile owners and operators. For better or worse, car accidents tend to happen at some point or another. Motorists should consider accidents a “when” situation rather than an “if” situation. Nobody wants to worry about what will happen after an automobile accident, though. Geico policyholders don’t need to worry about whether the company is financially sound to handle claims. When it comes to financial solvency, Geico is at the top of the industry. Its ratings of A++ from AM Best, AA+ from S&P Global, and Aa3 from Moody’s all speak for themselves. The average consumer couldn’t care less about a company’s financial strength today. Motorists want to know Geico will take care of themselves during a claim situation. Fortunately, Geico features rave reviews about its claims service. JD Power’s claims satisfaction study in 2017 interviewed nearly 12,000 consumers. The carrier scored 870 out of 1,000 points, sixth among all insurance carriers included in the study. Claims service remains an excellent barometer for insurance companies for a variety of reasons. First and foremost, auto insurance carriers tend to live and die by claims satisfaction. Consumers are most critical of carriers when it comes to claims. If customers are happy about claims performance, then they tend to be happy about the carrier as a whole. It’s no surprise companies and consumers alike rely on these particular ratings. In the study, Geico competed with a large number of insurance carriers. Any company falling within the top ten should feel more than happy about its performance in the study. Most auto insurance carriers tend to struggle with in the technology department. The average carrier offers a mobile app with a lackluster experience. In Geico’s case, consumers receive a powerful app with quite a few features. An individual can check their policy details and make minor changes to their policy with ease. Filing a claim or calling in roadside assistance is always an option, too. A great user interface and excellent in-app performance make Geico’s mobile app a clear winner among its competitors. Undoubtedly, an excellent mobile app helps to increase policyholder satisfaction. Geico continues to make further improvements to the app. Giving so much information and power to consumers is a smart decision. Also, self-service features help empower consumers and reduce the stress on Geico’s own customer service and claims teams. A human being is always available 24/7 to assist Geico policyholders if something goes wrong. Policyholders can always take control of their policies themselves around the clock, too. The main issue with Geico revolves around its homeowners insurance offerings. Geico doesn’t underwrite and back its own homeowners coverage. In effect, Geico acts as a middleman in this situation and matches policyholders with carriers that provide homeowners insurance. Many of these partnered companies provide the same excellent service as Geico, but that’s not always a guaranteed outcome. Less discounts are available through these homeowners insurance policies, and some consumers have reported dissatisfaction with the situation. In the future, Geico may opt to underwrite homeowners insurance itself. Some consumers may want to wait until that happens to switch to Geico. Other consumers may opt to entrust Geico for auto coverage but find their own homeowners coverage. As a middleman, Geico doesn’t perform any task or role that a homeowner couldn’t perform themselves. Most competitors tend to underwrite their own homeowners insurance. Plenty of consumers prefer to keep their policies all under one roof for convenience and ease of use these days. Travelers tends to compete directly with Geico for policyholders. Millions of people love the rates and coverages provided by Travelers after all. In many states, the company actually provides more coverages and discounts than Geico. That’s no small feat, and consumers shouldn’t count travelers out. Individuals with excellent driving records and high coverage needs won’t be disappointed by Travelers. Like we mentioned before, no insurance carrier is perfect in today’s world. Travelers actually scores below average when it comes to claims satisfaction. Consumers are all but guaranteed to save with the company, but their claims may involve complications. To many consumers, a smooth claims process is much more important than saving a few dollars each month. Geico’s excellent claims satisfaction may trump Travelers’ rates and discounts. On the other hand, Ameriprise Financial tends to provide more coverages than Geico and Travelers. Things like key replacement, gap coverage, windshield replacement, and even travel accident coverage are available as endorsements. Consumers may find such optional coverages vital and opt for Ameriprise Financial. However, Geico still trumps Ameriprise in sheer volume of discounts and states served – Geico’s 50 states versus 44 states for Ameriprise. Most consumers will still save more money with Geico in the long run here. After your first at-fault accident, Geico will waive an increase in insurance rates. This is known as accident forgiveness, and few carriers provide this type of coverage. It should be noted that accident forgiveness isn’t available in Connecticut, Massachusetts, or California. To add this coverage, policyholders can pay an additional fee, or earn accident forgiveness by avoiding an accident for five years. Policyholders that remain accident-free for at least five years also gain an additional discount on their insurance policy. In certain states, Geico runs a credit check on a consumer before binding coverage. Rates can be based on an individual’s credit score in these states. The credit check won’t hurt a person’s overall score, and premiums are affected by more than just this number. Certain states make it illegal to use credit scores in determining auto insurance rates. Either way, consumers should check their state’s laws on the matter to stay informed. Geico operates in all 50 states with agents and officers across the country. From state to state, individual coverages and discounts will vary. No policy is the same from one state to another state due to varying laws. Consumers should keep this in mind whenever they move to a new state and want to look for new auto insurance coverage. Generally speaking, an insured’s auto policy should look fairly similar from state to state. Strong financial ratings and high customer satisfaction help propel Geico to the top. Few insurance companies can compete against Geico when it comes to rates and satisfaction. 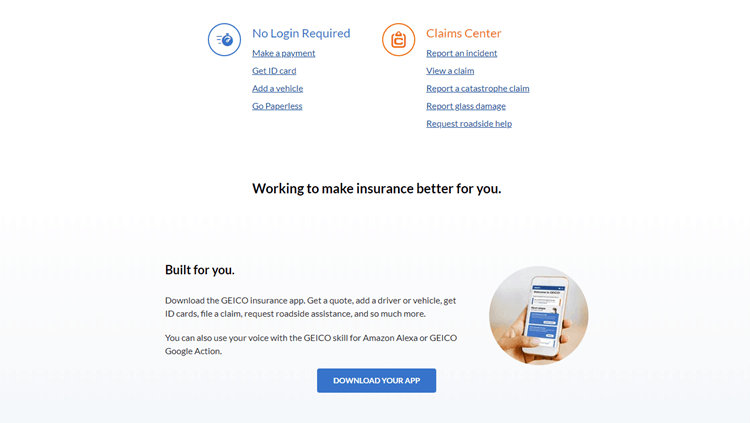 With an excellent mobile app, Geico empowers its policyholders rather than hindering them. Policy information and a live person are always available to policyholders, a claim not all carriers can make. Geico isn’t perfect, however; the company tends to lack certain supplemental coverages. Most of the company’s coverage options are more than adequate. Consumers looking for the lowest rates and best coverages can depend on Geico. A typical auto insurance carrier cannot compete with Geico in every category. In the end, Geico reigns supreme in claims satisfaction and availability of discounts. 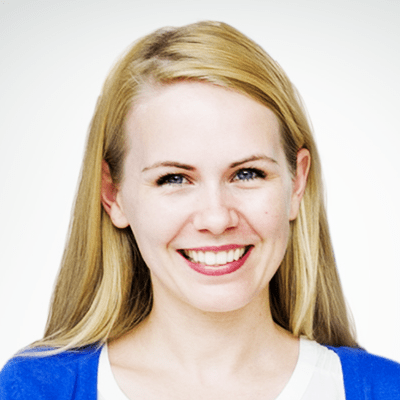 The company may have the best mobile app among all competitors. 24/7 customer service is available, and not all competitors provide similar levels of service. It’s all but impossible for the average auto insurance provider to compete against Geico. Geico won’t provide the best coverage for every single consumer, but the carrier provides an excellent solution for a majority of motorists. This section looks at the general questions people have about Geico, including aspects of the company and other basics. Lots of people think so – they offer quality insurance products for reasonable prices. While you should always shop around to make sure you get the best deal, many people find that they get the best deal with Geico. It could be any number of reasons, depending on where you live and what insurance product you’re looking at. Geico uses innovative business models to lower costs and provide great service. The best way to get ahold of Geico on the phone is by calling 1-800-207-7847. This will contact their national customer service line. The phone number for your local agent will be different. Geico has been in business for 83 years. They were founded in Fort Worth, Texas in 1936. Geico stands for Government Employees Insurance Company. That’s because government employees were the company’s original target customer base. Geico insurance is a wholly owned subsidiary of Berkshire Hathaway. This occurred in 1996 when Berkshire Hathaway purchased Geico. Geico was founded in 1936 in Fort Worth, Texas. That means it’s been in business for 83 years as of this writing. While it was founded in Forth Worth, Texas, Geico is currently headquartered in Chevy Chase, Maryland. No – Geico is owned by Berkshire Hathaway. This confusion exists because the “ge” in Geico stands for Government Employee – but this is because that’s who the company originally marketed to, not because it’s owned by the government. This section answers your questions about the different types of insurance that Geico offers for sale. Geico doesn’t currently offer gap insurance, so you’ll need to check with your dealership or another insurance company if you want it. Yes, Geico offers homeowners insurance by underwriting policies written through non-affiliated insurance companies. Yes – Geico renters insurance is designed to offer coverage for all of your possessions that aren’t covered by your rental contract. Yes – Geico offers life insurance through Life Quotes, Inc. You can get a quote online or call 888-532-5433 to get a quote. No, Geico doesn’t offer health insurance. That’s one of the few insurance products that Geico doesn’t provide. Yes, Geico offers boat insurance. You can get a free boat insurance quote online or by calling 835-395-1422. Geico home insurance is well-reviewed. It was 5th in overall customer satisfaction in the 2015 J.D. Powers home insurance company survey. While Geico offers many insurance products, they’re probably best known for their auto insurance. We’ll answer questions about Geico car insurance in this section. Yes, if you have a Geico auto insurance policy as your primary insurance coverage, then your protection extends to rental cars. There are lots of different factors that go into this, like your previous driving history, accident forgiveness, the nature of the accident, tickets issued, injuries, and so on. Yes, Geico has accident forgiveness. That means your insurance rates won’t go up as a result of your first at-fault accident. That depends on lots of different factors, the most important being the state you live in. Insurance prices change state to state because of different state laws about insurance requirements. We recommend getting a free quote from Geico to see how much they’ll charge to insure you. Geico comprehensive covers everything that a standard policy covers plus damage to your car from things that aren’t accidents, such as theft, vandalism, or weather damage. Usually, but it depends on the particular situation. You’ll need to contact a local Geico agent to see if they can provide coverage in your specific situation. Sometimes, it depends on your specific insurance policy, the damage to the windshield, and how the damage occurred. You’ll need to speak to your local Geico agent for more information. In addition to towing services, Geico roadside assistance covers jump starts for dead batteries, labor to change a flat tire, and lockout services up to $100. In almost all cases, yes. A speeding ticket shows that you’re at a higher risk of an accident, so your premium rates will go up accordingly. There are a few different ways to lower your Geico car insurance. You can take a driving class. You can also sign up for their programs that lower rates for educational, professional, and alumni organizations. Not with most policies. Roadside assistance will usually cost around $14 per year to add to your policy. Sometimes, but not usually. It depends on what you’re trying to insure, why your license was suspended, and your specific state laws. That depends on the laws for accident records in the state where your accident took place. You’ll need to check for your specific state. Yes, a speeding ticket will pretty much always cause your insurance to go up. You can talk to your insurance agent to see what steps you can take to counter this increase. That depends on several different factors, including who was at fault in the accident, whether or not you have accident forgiveness, tickets issued in the accident, and so on. Geico is usually one of the cheapest options for most markets, but you’ll need to check to see how much they charge on average in your state and for your insurance needs. There’s no publicly available information regarding how often Geico checks driving records. Most states electronically update driving records and insurance companies are notified in near real-time. This section answers your questions about different payment and account questions for Geico. There’s no set payment processing time for Geico that we can find. It depends on multiple different complex banking factors. It’s generally a bad idea to postpone car insurance payments, however, each state has different rules about how long you can go without paying before an insurance company can drop you. This can be anywhere from 30 to 120 days. No – Geico doesn’t do bill pay at Walmart. You can pay online, through the mobile app, by phone, or by mail. You can change your Geico payment date by calling 800-932-8872 to speak to a customer service rep about your options. Yes, you can use your Discover card to pay your Geico bill. You can also use AMEX, Visa, or Mastercard. We’ll answer your questions about Geico claims and coverage in this section. Geico pays most claims by mailing a reimbursement check to you, minus any deductible amount. That depends on your specific situation – once the settlement is agreed upon you’ll usually get a check within 3-7 days. Yes, Geico will write reimbursement checks to pay for covered damages to your car or property. In most situations, yes. However, you’ll need to be sure they’re just an occasional borrower and shouldn’t be listed as a regular driver on your insurance. Geico covers towing if you have Geico Emergency Road Service. This service usually costs about $14 per year. That depends on what specifically you mean by full coverage – Geico’s state minimum liability coverage probably won’t cover theft unless you bought additional coverage. However, most Geico comprehensive coverage policies cover theft. Geico uses guidelines set by each of the respective state laws regulated auto insurance when making a determination as to whether your car is totaled or not. Sometimes – it depends on your policy. Most minimum coverage and liability only policies won’t cover hurricane damage. However, many comprehensive policies will. Geico processes claims very quickly. They’ll usually get you an inspection within 24 hours and mail a check soon afterwards. However, each claim can take a different amount of time to process depending on the circumstances involved with the claim. Geico comprehensive coverage will cover damage from things other than collision, and rodent damage is included in that category. If you have comprehensive coverage, then Geico will cover incidents of vandalism against your vehicle, like slashed tires. Geico boat insurance protects you and your boat or PWC from liability and damage should they be involved in an accident. This section covers questions that don’t fit into our other categories. There’s actually a lot of debate about this – the person that created the gecko says he has no name, however, others claim that his first name is actually Martin. Not in most cases – individual local Geico agents may be willing to price match, but the company doesn’t have an overall price match policy.